Chocolate covered nuts! We love chocolate covered nuts. Especially with a little caramel. First people ate chocolate covered peanuts. They are really good. We love them and we loved what we call Turtles. Pecans, with caramel and then covered in chocolate. And, of course, macadamia nuts are also delicious prepared this way. And chocolate covered almonds are always a treat. OK mom. 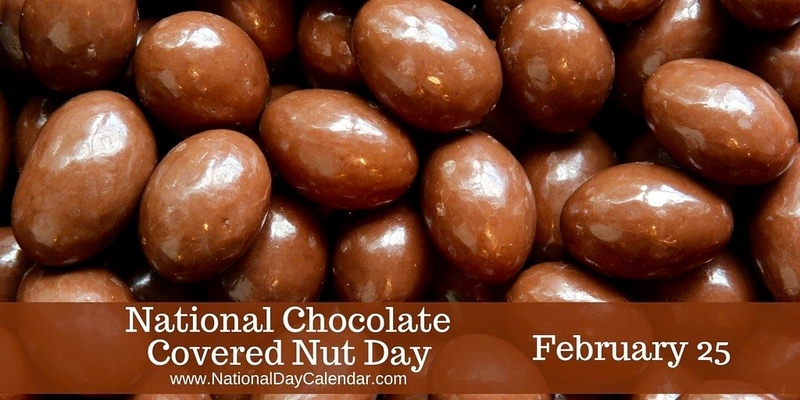 Let’s eat some chocolate covered nuts today. This entry was posted in Holidays, Uncategorized and tagged Chocolate Covered Nut Day, Colorado Traveling Ducks. Bookmark the permalink. Dang it! I missed this delicious day! I’ll celebrate in belation today! I celebrated so much that I should go to the gym today. Chocolate covered nuts are so good!! Thanks for reading and commenting. Enjoy a chocolate nut treat today!